It’s no secret that I love potatoes. I love them mashed, baked, fried and boiled. When I was a kid I would crush my mini bags of potato chips so I could eat the tiny pieces that way the bag would last longer. I know, I was a weird kid. I kind of steer clear of the chips these days and if I do treat myself I leave them whole. 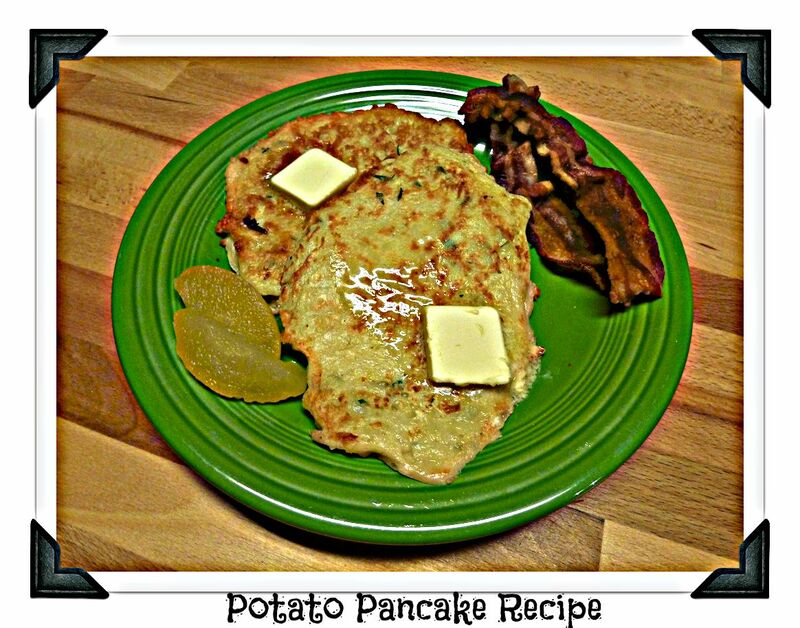 If you love potatoes then you will love these delicious potato pancakes. They are good anytime of the day whether it’s breakfast, lunch, or dinner. Pair them with crisp bacon and some applesauce or baked apple slices on the side top them with butter and enjoy. In a large bowl mix all the ingredients together except the potatoes. Whisk until the batter is smooth. Add the potatoes to the batter. Preheat a large pan on medium heat. Add a little vegetable oil to the pan. Drop ladles of potato batter into the pan spreading thinly with a spatula. Cook about 2-3 minutes per side till golden brown. Top with butter and serve with crisp bacon and applesauce on the side. Be sure and visit Bowdabra blog for more craft tutorials and dinner easy recipe!